August 5, 2014 – (, Pearl Harbor, HI , USA) – IT Specialist Click here for full details. August 5, 2014 – (, Pensacola, Florida , USA) – IT Specialist Click here for full details. August 5, 2014 – (, Crane, Indianapolis , USA) – IT Specialist Click here for full details. August 5, 2014 – (Mechanicsburg, PA, Mechanicsburg, Pennsylvania 17050, US) – Operations Manager – Distribution CenterClick here for full details. August 5, 2014 – (, Washington, DC 20001, ) – Director, Imagery Sales – GIS (Geographic Information Systems) (1711-205)Click here for full details. August 5, 2014 – ( Phoenix, Arizona, United States, 85012 , Phoenix, Arizona 85012, USA) – Lead Critical Facility EngineerClick here for full details. August 5, 2014 – ( Wentachee, Washington, United States, 98807 , Wentachee, Washington 98807, United States) – Tax Manager Click here for full details. August 5, 2014 – ( Seattle, Washington, United States, 98104 , Seattle, Washington 98104, United States) – Office CoordinatorClick here for full details. August 5, 2014 – ( Kirkland, Washington, United States, 98034, Kirkland, Washington 98034, United States) – Medical Receptionist Click here for full details. August 4, 2014 – (222 N Emmber Lane, Milwaukee, WI 53233, United States) – Buyer Click here for full details. August 4, 2014 – (Missouri State University-West Plains, West Plains, MO 65775, US) – Dean of Student Services Click here for full details. August 4, 2014 – (, Okinawa, , JAP) – Tactical Training Support Site Lead Click here for full details. August 4, 2014 – (, Camp Lejeune, North Carolina , US) – Tactical Training Support Mid Click here for full details. August 4, 2014 – (, MCBH – Hawaii, Hawaii , US) – Tactical Training Support Mid Click here for full details. August 4, 2014 – (, Twentynine Palms, California , US) – Tactical Training Support Mid Click here for full details. August 4, 2014 – (The University of Texas at El Paso, El Paso, TX 79968, USA) – Auxiliary Services Support – 10024496 Click here for full details. August 4, 2014 – (Marine Corps Network Operations Center, Quantico, VA , USA) – Systems Administrator for MessagingClick here for full details. August 4, 2014 – (Marine Corps Network Operations Center, Quantico, VA , USA) – Remedy Administrator Click here for full details. August 4, 2014 – (Quantico VA, Marine Corps Base Quantico, VA 22554, USA) – Remedy Administrator Click here for full details. August 4, 2014 – (, Twentynine Palms, California , US) – Tactical Training Support Jr Click here for full details. August 4, 2014 – (, Bellevue, Washington 98004, United States) – State and Local Tax (SALT) Experienced Senior Click here for full details. August 2, 2014 – (Washington, DC, Washington, DC, District of Columbia 20301, USA) – Public Relations / Strategic Communications Click here for full details. August 1, 2014 – (, Falls Church, Virginia , US) – Physician/MD – Board Certified Click here for full details. August 1, 2014 – (, Quantico, Virginia , US) – Tactical Training Support Jr Click here for full details. August 1, 2014 – (, Falls Church, Virginia , US) – Licensed Practical Nurse Click here for full details. August 1, 2014 – () – Junior Software Development Project Manager Click here for full details. August 1, 2014 – (, Falls Church, Virginia , US) – Pharmacist Click here for full details. August 1, 2014 – (The University of Texas at El Paso, El Paso, TX 79968, USA) – Instruction Librarian – 10022038 Click here for full details.  August 1, 2014 – (, Suffolk, Virginia , US) – Navy Research Analyst for Cyber Operations Click here for full details. August 1, 2014 – (, Falls Church, Virginia , US) – Business Process Engineer – Senior Click here for full details. August 1, 2014 – (, Seattle, WA , US) – OpenStack Cloud Consulting Principal Click here for full details. August 1, 2014 – ( Seattle, Washington, United States, 98101 , Seattle, Washington 98101 , United States) – Assistant Plan Administrator Click here for full details. August 1, 2014 – ( Bellevue, Washington , United States, 98006 , Bellevue, Washington 98006, United States) – Account Manager Click here for full details. August 1, 2014 – (Puyallup, Washington, United States, 98373 , Puyallup, Washington 98373, United States) – Inventory Control Coordinator Click here for full details. July 31, 2014 – (, Suffolk, Virginia , US) – Navy Information Assurance Compliance Analyst Click here for full details. July 31, 2014 – (, Camp Lejeune, North Carolina , US) – Tactical Training Support Jr Click here for full details. July 31, 2014 – (Simventions, Dahlgren, VA , US) –  M&S Developer Click here for full details. July 31, 2014 – (Simventions, Fredericksburg, va 22408, US) –  M&S Test Analyst Click here for full details. July 31, 2014 – (Simventions, Dahlgren, VA 22408, US) –  Electrical Engineer Click here for full details. July 31, 2014 – (Simventions, Fredericksburg, VA 22408, US) –  Junior Systems Engineer Click here for full details. July 31, 2014 – (Simventions, Fredericksburg, VA 22408, US) –  Test Engineer Click here for full details. July 31, 2014 – (Simventions, Fredericksburg, VA 22408, US) –  Software Engineer Click here for full details. July 31, 2014 – (Simventions, Fredericksburg, VA 22408, US) –  Senior Software Engineer Click here for full details. July 31, 2014 – (Simventions, Fredericksburg, VA 22408, US) –  Programmer Click here for full details. July 31, 2014 – (Simventions, Fredericksburg, VA 22408, US) –  Information Assurance Engineer Click here for full details. July 31, 2014 – (Simventions, Fredericksburg, VA 22408, US) –  Software Developer Click here for full details. July 31, 2014 – (Simventions, Fredericksburg, VA 22408, US) –  Electrical Engineer Click here for full details. July 31, 2014 – (Simventions, Fredericksburg, VA 22408, US) –  Systems Engineer Click here for full details. July 31, 2014 – (Simventions, Fredericksburg, VA 22408, US) –  Senior Systems Engineer Click here for full details. July 31, 2014 – (Simventions, Dahlgren, VA , US) –  Senior Cyber Security Analyst Click here for full details. July 31, 2014 – (Simventions, Fredericksburg, VA 22408, US) –  Junior Instructional Curriculum Developer/TrainerClick here for full details. July 31, 2014 – (Simventions, Fredericksburg, VA 22408, US) –  Senior Instructional Curriculum Developer/TrainerClick here for full details. July 31, 2014 – (Simventions, Fredericksburg, VA 22408, US) –  Electronics Technician Click here for full details. July 31, 2014 – (Simventions, Fredericksburg, VA 22408, US) –  Documentation Specialist Click here for full details. July 31, 2014 – (Simventions, Fredericksburg, VA 22408, US) –  Technical Editor Click here for full details. July 31, 2014 – (Simventions, Dahlgren, VA , US) –  Systems Administrator Click here for full details. July 31, 2014 – (Multiple Locations, San Diego, La Jolla , Carlsbad, CA 92008, USA) – Financial Representative Click here for full details. July 31, 2014 – (Albany, GA, Albany, GA 31705, ) – Business Analyst – Albany, GA (2755) Click here for full details. July 31, 2014 – (Albany, GA, Albany, GA 31705, ) – Senior Systems Analyst – Albany, GA (2756) Click here for full details. July 31, 2014 – (Albany, GA, Albany, GA 31705, ) – Systems Analyst – Albany, GA (2754) Click here for full details. July 31, 2014 – (Albany, GA, Albany, GA 31705, ) – Technical Writer – Albany, GA (2757) Click here for full details. July 31, 2014 – (The University of Texas at El Paso, El Paso, TX 79968, USA) – Program Coordinator (Collegiate Recovery Program) – 10060133 Click here for full details. July 31, 2014 – (, San Diego, CA , USA) – JTAC Instructor and M&S Facilitator Click here for full details. July 31, 2014 – (, San Diego, CA , USA) – Training Specialist Click here for full details. July 31, 2014 – (The University of Texas at El Paso, El Paso, TX 79968, USA) – Human Resources Technician – 10062992Click here for full details. July 31, 2014 – (Hanover, MD, Hanover, MD 21076, USA) – Contract Specialist – TS/ SCI Required (1779-205) Click here for full details. July 31, 2014 – (300 Steamboat Road, Great Neck, NY 11024, United States of America) – Company Officer, US Merchant Marine Academy Click here for full details. July 31, 2014 – (, Dahlgren, VA 22448, US) – Secretary II – Dahlgren, VA – Secret Clearance Required (1810-205) Click here for full details. July 31, 2014 – (, Leesville, LA 71459, US) – Personnel Assistant I (2 Vacancies) (1809-205) Click here for full details. July 31, 2014 – (Marietta, Georgia, Marietta, Georgia 30090, USA) – Personnel Assistant Click here for full details. August 5, 2014 – (, Redwood City, California 94002, United States) – Outside Sales Representative Click here for full details. July 31, 2014 – (Marietta, Georgia, Marietta, Georgia 30090, USA) – Business Manager Click here for full details. July 31, 2014 – (Marietta, Georgia, Marietta, Georgia 30090, USA) – Project Manager Click here for full details. July 31, 2014 – (, Okinawa, Other / Non-US , JAP) – Tactical Training Support Jr Click here for full details. July 31, 2014 – (, Houston, TX , US) – Business Operations Manager Click here for full details. July 31, 2014 – (Corporate Office, Murrieta, CA 92562, USA) – Robotics Engineer Click here for full details. July 31, 2014 – (COLORADO, Brighton, Co 80621, USA) – Hiring Event!!!!! August 13th & 14th Click here for full details. July 30, 2014 – (, Orlando, Florida , US) – PM, Training Support Center (TSC) Support Services Click here for full details. July 30, 2014 – (, MCBH – Hawaii, Hawaii , US) – Tactical Training Support Jr Click here for full details. July 30, 2014 – (Norfolk, VA, Norfolk, Virginia 23503, USA) – Information Assurance Analyst Click here for full details. July 30, 2014 – (Gulfport, MS, Gulfport, MS , ) – Weapons Based Instructors (040) Click here for full details. July 30, 2014 – (San Diego, CA, San Diego, CA , ) – Antiterrorism/Force Protection Instructors (039) Click here for full details. July 30, 2014 – (, Orlando, Florida , US) – TSC Operations Manager Click here for full details. July 30, 2014 – (East Coast, Stratford, CT , ) – Structural Test Lab Technician / Aviation / Urgent Click here for full details. July 30, 2014 – (, Washington DC Area, Dist. Columbia , US) – Communications Engineer II Click here for full details. July 30, 2014 – (The University of Texas at El Paso, El Paso, TX 79968, USA) – Writer – 10019989 Click here for full details. July 30, 2014 – (, Quantico, Virginia , US) – Exercise Scenario Design Specialist Sr Click here for full details. July 30, 2014 – (Dahlgren, Dahlgren, VA 22448, US) – Senior Computer Analyst – Unix (1807-205) Click here for full details. July 30, 2014 – (, Biddeford, ME , US) – Claims Processing Specialist – Medicare Click here for full details.